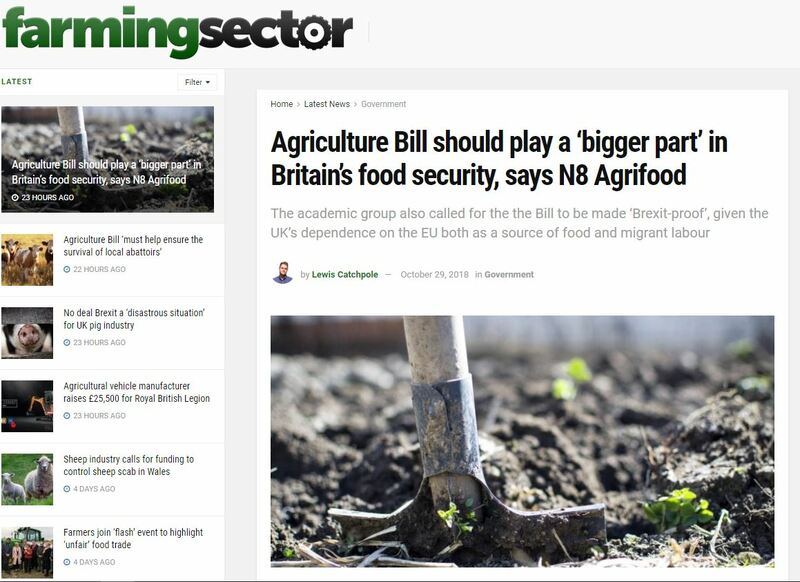 Agriculture and food industry news websites picked up on N8 AgriFood’s report on the impending UK Agriculture Bill, with N8 AgriFood chair Bob Doherty calling for “Brexit-proof” legislation, that is fairer on farmers, and involves more cross-departmental input within Government. 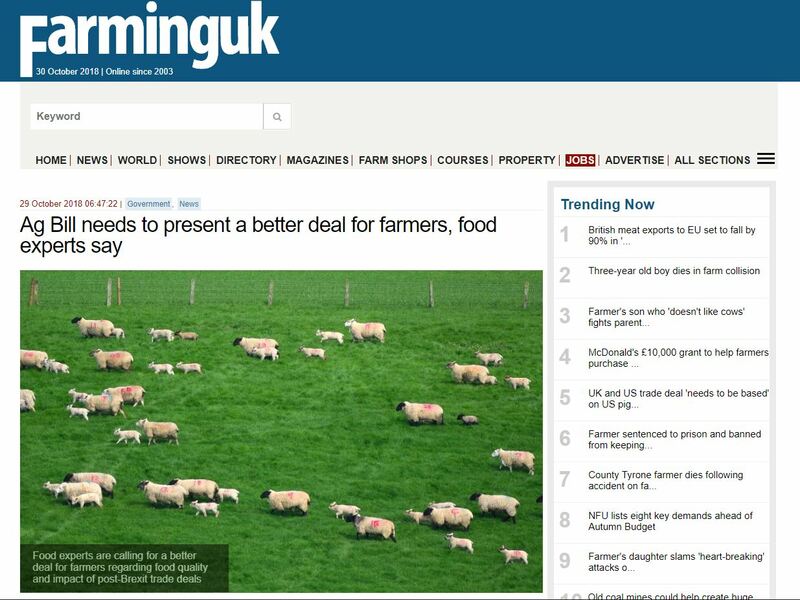 Farming UK published a piece online entitled “Ag Bill needs to present a better deal for farmers, food experts say. Click on the image below to read the piece. 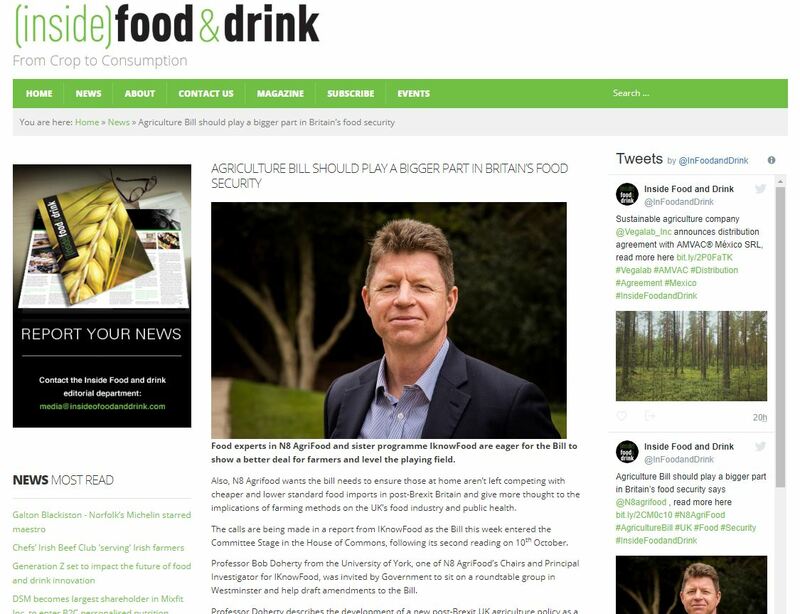 Also within the agriculture media, Farming Sector wrote a story “Agriculture Bill should play a ‘bigger part’ in Britain’s food security, says N8 Agrifood, which it published online. Click on the image below to read the story. Click on the image below to read (Inside) Food & Drink’s coverage of the story.